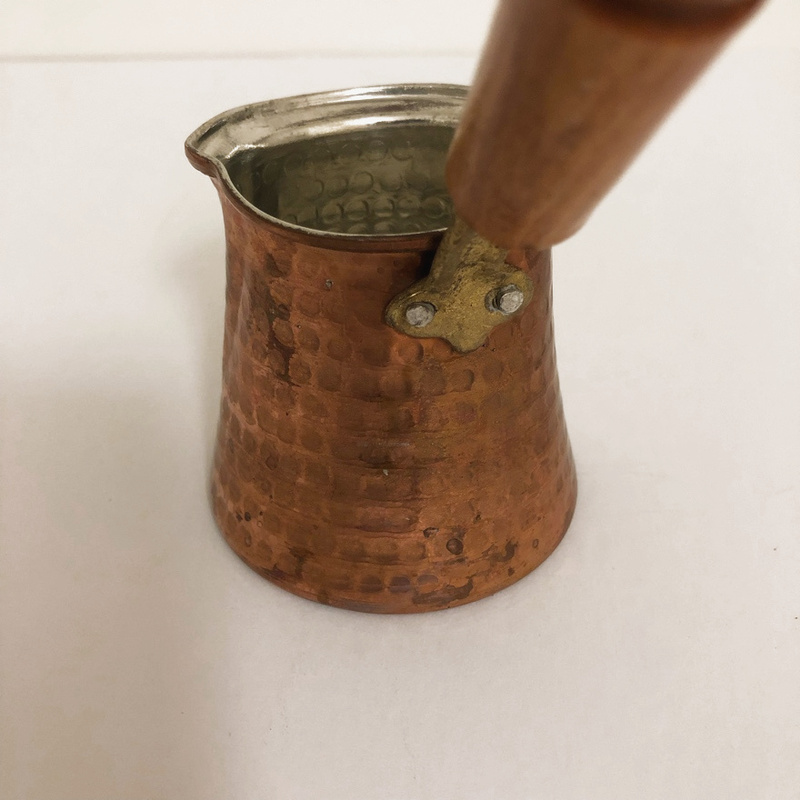 Small copper pouring cup with wooden handle. Sturdy and in excellent condition. 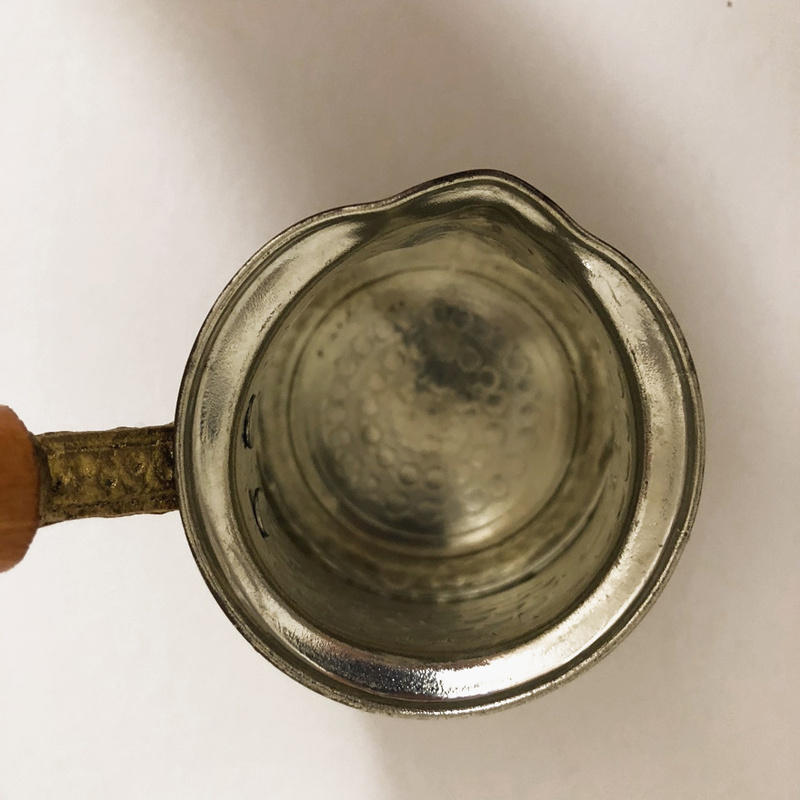 Dimensions: cup itself is 2.5 inches in height x approx 3 inches wide at base. The piece has a small hanger on end so it can be hung on a hook.